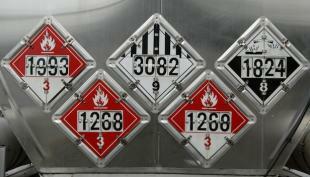 Mishandling hazardous materials on the job can have severe consequences, both for your workers and your bottom line. Penalties can range from $10,000 to $1 million in fines, as well as up to two years in prison. Fortunately, regulations such as Workplace Hazardous Materials Information System (WHMIS) exist to ensure employees are kept safe through proper labeling of materials and training programs. In addition to in-line assessments, learners are required to take a final examination at the end of the course to test overall knowledge. Users must receive a score of 80% or higher in order to receive a certificate of completion. Avoid unnecessary workplace injuries through proper education and training. Take advantage of this week’s 50% savings on WHMIS training.